In this age, poetry sought me. words, it was not silence. the awesome night, the universe. my heart unbound in the wind. the unnamed thunder, the planetary pampas. an imperial cup of Araucanian silica. the earth’s initials were written. Life was not lost, my pastoral brothers. around a handful of empty crystal. and the shade was like a green eyelid. word not yet born in my mouth. favourite animal, the stray dog. from the velocity of light to earthly circumstance? on the ashes of dead hearts? and man is grateful for the kingdom’s goodness. copper, oil, magnets, ironmongery, purity. dismissing the blood and death we wear as humans. and you hear me from afar but my voice doesn’t touch you. and a kiss seems to close your mouth. you emerge from everything filled with my soul. and you echo the word melancholy. I like your calmness as if you were distant. And you seem to complain like a butterfly, like a dove’s lulleby. let me be peaceful with your very silence. bright as a lamp, simple as a ring. You are like the night, calm with constellations. Simple and remote, your silence is star-born. I like your stillness because you seem absent. Dolorous and distant as if you were dead. A word from you, a smile would suffice for me, then. And I would be blithesome that this be untrue. the fire that lives in Beauty. 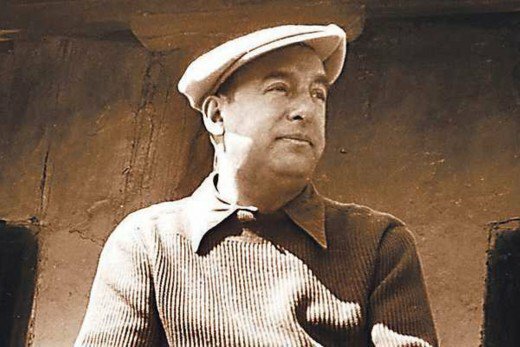 Pablo Neruda (1904-1973) was a Chilean poet who authored more than 30 poetry books. His diplomatic career began after the Spanish Civil War (1936-1939) in which he sided with the Republicans. His verse is influenced by his many exiles from Chile, the local colour, ethnic identity and history of Latin America, his communism, and left-wing political commitments for individual freedom. He died in 1973 at age 69, presumably from a lethal bacterial injection administered in a hospital under the Pinochet regime. He was awarded the Nobel Prize in 1971 and his posthumous Memoirs were published in 1974 by Mathilde Urrutia, his third wife. one I did not love. to seek the water’s eye. the live coals of her face. I bent and bent . . .
robbing her of my heart’s blood. fell into my hand . . .
rakes me as I pass. the dance of losing everything. from her neck, her breast, and her soul. She dances, laughing perfect dispossession. and the shiver of a homeless man. beautiful and pure, on flying feet. of her turning, she’s turned witness. nor the smile of the tall grass. They can’t use her baptismal name. or a garland torn to pieces. solitary whirlwind, vile and pure. of the God of her childhood days. to guard until daybreak was mine. neither my triumph nor my defeat. than the other worlds unborn . . .
nor did hunger march around them. or a tide line on the sand. I could have not returned, and I’ve returned. be once more the peddler. and my handful of chisels. and once more take up the world. or her own shores hearing her . . . I hear him climb the stairs. and I’m the only one to sense it. in her vigil have to listen to it! yet I follow his shape complete. as on an eternal tide. that you see when you get close. and hurt himself in the darkness. ring out to me like crystal. and questions himself, and answers. about to land, that never does . . .
like a flame that twists around it. —a glowing brick—against my door. my strength departs with his! on the mirror in the stairwell. makes the tale into a fable. freezes some and others burns. so he can sleep and I can sleep. tall and red as a bonfire! cotton of the same spinning. for a wall and a conversation. with plunder, gave it all away. without asking to return . . .
like a sword in its sheath. the wide dunes of samphire. I know and I don’t know myself. when I lived with the others. by our name soon tires. the court of creeping fungus. like a felled, stripped poplar. the crown of his shoulders. will have me, who is no husband. 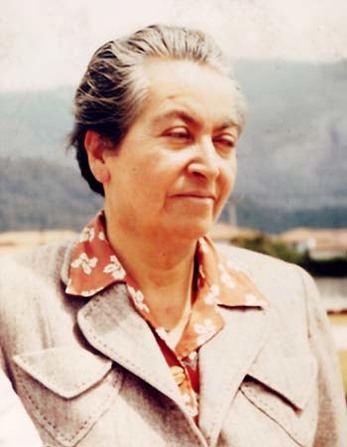 Gabriela Mistral (1889-1957) was the pseudonym for Lucila Godoy y Alcayaga. She was born in Vicuña, Chile. She taught elementary and secondary school for many years until her poetry made her famous. The love poems in memory of the dead, Sonetos de la muerte (1914), made her known throughout Latin America, but her first great collection of poems, Desolación [Despair], was not published until 1922. In 1924 appeared Ternura [Tenderness], a volume of poetry dominated by the theme of childhood. The same theme, linked with that of maternity, plays a significant role in Tala, poems published in 1938. In 1945, Mistral became the first Latin American, and only fifth woman, to receive the Nobel Prize for Literature. She died on January 10, 1957. Her complete poetry was published in 1958.
wandered alone in his hard land of Spain. in the heroic tales of Roland and of Britanny. glare, and thought himself undone, alone and poor. seeing Don Quixote and Sancho ride out upon their quest. between us, my grey brother. of the solitude the days bring in. Where can one look now for your features and your name? were when on this earth you were a man. now you live only in your poems of iron. of the language of those flinty Saxons. which spins and then unspins its flagging story. circle can embrace and can accomplish everything. waiting for me, inexhaustible, is the universe. in the dulling mirror of his feeble stare. He knows, without surprise now, this face is what he is. the unkempt beard, the paralysed mouth. The end is near. I am almost not, his voice declares. of Life in all its splendour. I was Walt Whitman once. 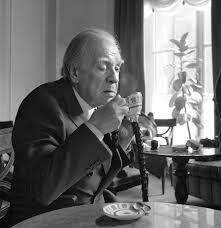 Jorge Luis Borges (1899-1986). Perhaps better known to Anglophone readers as a postmodern fabulist, the Argentinian writer is also considered in Latin America to be one of its major poets. He mastered several languages and his reading of their literatures permeates his own writing. As his sight failed, he turned more and more to poetry, as he found it easier to memorise during the process of composition. He wrote some 140 sonnets; they are among the most classical and European of his works and demonstrate the remarkable extent of his erudition. will swerve with no one to follow it. where we used to swim. because today is her birthday. shooting up into the roof, shedding light on us. in a slow, illumined clinamen. from that apex high above. to the flower of paradise. that may let me rise. I believe we are together. words the swan has written. but because it will thrive. Pedro Serrano was born in Montreal, Canada, in 1957, Pedro Serrano teaches at the Faculty of Philosophy and Letters at the National Autonomous University of Mexico. His five poetry collections include Desplazamientos (Editorial Candaya, Barcelona 2006) and Cuentas Claras. He co-edited La Generación del Cordero (Trilce 2000), an anthology of 30 contemporary British poets. His poetry has been widely anthologised and translated, notably in Peatlands (Arc, 2014), and Mexican Poetry Today – 20/20 Voices, edited by Brandel France de Bravo (Shearsman 2010) and Modern Poetry in Translation. His study of T.S. Eliot and Octavio Paz, La Construcción del Poeta Moderno, was published in 2011.
in carrying a stone from here to over there. more than a bag brimming over with rain. about to devour the world. into the most absolute of extinctions. 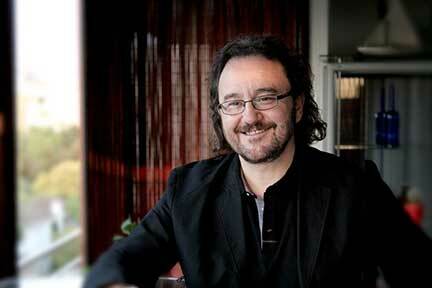 Daniel Calabrese (1962, Argentina) has resided in Chile for the majority of his life. He is a poet and editor responsible for the legendary journal Aerea published in Chile. 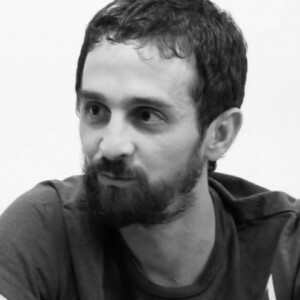 As a poet, he is the author of numerous collections, including his recent title Ruta 2, which won the 2013 prize for best poetry collection given by El Mercurio. as to how the day will pan out. or a row of self-help paperbacks. to the next by tangled balls of wool. and they take it for granted. what I learnt in El Corte Inglés. that long ago lost its shape. in case anyone is in there. blankets, their impeccably bled radiators. From the plane window I see where you begin. as announced by the pilot. the count is taking place. what we said about your weather. and box-set of Fawlty Towers. if you can’t lay your hands on a hangman. Mercedes Cebrián is a unique voice in Spanish poetry: humorous, satirical, political, deeply concerned about the future of our consumerist democracies, and also deeply personal. Her first book Affordable Angst consisted of short fictions linked by poems, and was chosen as one of the fifty best books in Spanish since 1950. She publishes novels and non-fiction as well as poetry. Her most recent book, Burp, self-illustrated, is a satire on our foodie obsession. Her two books of poetry are Floating Population (2006) and Squandering (2016). One day my father took me to see the ducks in the park. The ducks were sunning themselves in a concrete pond. My father pointed to them one by one, big duck, small duck. Some were in the water, and the others on dry land. they’re like your brothers and they want you to be happy. and his voice faltered and he didn’t say anything at all. floppy. My father told me about ducks and dying. and see a live one swimming round the pond. But I wept inconsolably in a world unlike this world. if I want to go into a wood. I fill the empty place, and go in since I can. sometimes, a little, when I think of it. I paddle in the river, if there is a river in the wood. from one’s wrestling with the void day by day. and there are also other woods, but I sigh in this one. Unlike a skein of smoke, the wood won’t disappear. I’m in a real wood, which is something. Julián Cañizares Mata lives in Córdoba, where he teaches History. His most recent poetry books, published by La Isla de Siltolá, are “La Lealtadmantenimiento/ Keepingfaith”, and “Navajazo/ Knife-thrust”. The poens in this supplement come from SustituirEstar/Being and Replacing His poetry seeks to represent consciousness in time, and the secret language of daily life, the poetic aspects of our surroundings. He also runs a writing workshop and a fanzine, Guitarrazo, dedicated to sppeed writing, the poem as an unmediated event. He continues to write. I never saw her cry, my grandmother. Damp handkerchiefs in her dressing-gown pocket. Cotton stockings. Holes in her grey grandma skirt. she wore to trap the warmth. She stuck her thumb in the earth, it came out black. Dry crumbs of mud. Brick chips from under the plants. Bits of food stuck to the tines of the fork. and sunk it into the wood. so they’d sing true like her. Voices of offering. Easter voices. mute in the knowledge of who I was. teetering in high boots on the edge of the dam. the anger at belonging to the tribe. of the house. Up the road. would come to look for me. as the car pulled away. Her drawer lined with paper smooth as stone. She lost a son and a husband. with only old-age in common. bringing breakfast in the morning. the rust and smell of bleach. The girl must be Julia. Can you see that bike out there? She loved her house, my grandma. It’s yours for 30,000 euros. Who will await me, glad to see me? Tangled hair. With no-one to brush it. Alone in my armchair. Sick and tired of sermons. when there’s no reason now to go on living. that what you sow you reap. If I am nobody’s mother. tenderness. Visits to friends in pain. Who will take me in their arms when I am old. When I’m alone, with no-one to talk to. The night contains its truth. the adventure on its page. in the fountain and the ripples. the needle and the pupils stain. from here, like a bright cancer. I never played these words. and flourished in the wind. that once was my hair. from a nest of worms. Recent poetry books include Tres Veces Luz/Three Times Light, Márgenes/Margins, El Primer Día/Day One. He has also written the plays Eureka and The Paradisal Age. His Selected Poems are in preparation in a bilingual edition. you mustn’t fall for it. are part of our story. my mother still looks at. yes I’m fine, no news. Francisco Alatorre Vieyra (1982) is a contemporary poet from Mexico. His collection entitled Ladakh won the national prize for poetry named after Efrain Huerta in 2014. He has published extensively in journals. From the years of 2002 to 2013, he lived abroad in various countries, including Japan, Israel, India, and Spain, peregrinations which no doubt have influenced his work. they lie me in a bed that grinds, the serum trembles within the plastic fluid bag. the tiny crabs flee with dread, it’s coming. it is here, the sea seeps into the catheter, the seaweed tangles in my veins, the little fish get snarled up: my right arm swallows the ocean, the amputated waves, the pus from the foam, the subaquatic ulcers, the synovial tears of coral: I will descend in my submarine to the children’s stories of the bottom of the sea. to breathe is something else, the frog in my chest is suffocating because this is not her pond. gills emerge from me like the fast mouths of the hake. I am not inside, it is the sea that turns with sadness in my kidneys, it is my chest that absorbs the numb water of my legs, it is the sea that crosses my body like a thick and cold spear. the plastic tube empties into me, heaving the depths of the ocean. this place seems unfamiliar to me. 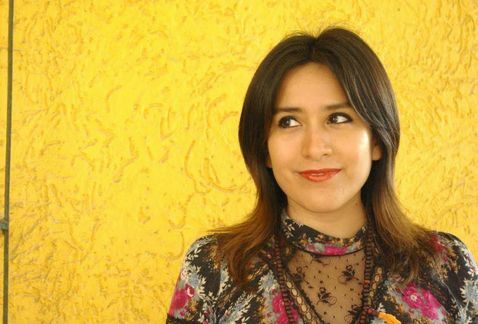 Nadia Escalante Andrade (Mérida, 1982) is a Mexican poet. 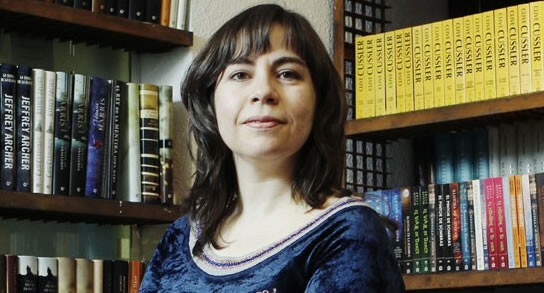 She has published the books ‘Adentro no se abre el silencio’ (FETA, colección La Ceibita, 2010) and ‘Octubre’ as well as ‘Hay un cielo que baja y es el cielo’ (Textofilia, 2014). in a black pot balanced on the balcony. Meanwhile in the house, the man is sleeping. though the hydrangea is only a flower. Meanwhile, in the house, the man is sleeping. the warnings in the gardening manuals. a hospital of tubes and pipes. had it ever crossed your mind? is the belly of a whale. David Cooke is co-editor of The High Window. Randall Couch’s most recent book is Peal (Coracle Press, 2017). He edited and translated Madwomen: The Locas mujeres Poems of Gabriela Mistral (University of Chicago Press, 2008), which won the Poetry Society’s biennial Popescu Prize for Poetry Translation, was one of two finalists for the PEN American Award for Poetry in Translation, and was chosen by the London Review Bookshop as one of ten poetry books of the decade. He is an administrator at the University of Pennsylvania and teaches poetry writing and poetics at Arcadia University. 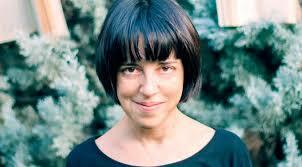 Anna Crowe is co-founder and former Artistic Director of StAnza, Scotland’s Poetry Festival. 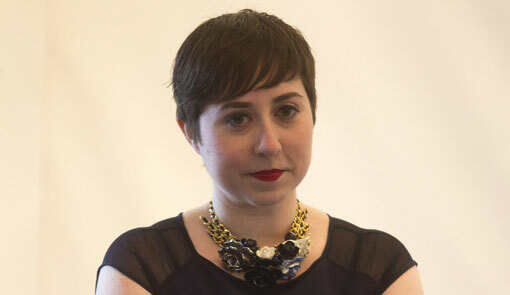 Her work has been translated into several languages, and includes two Peterloo collections and three Mariscat chapbooks. Awards: Peterloo Poetry Prize; Travelling Scholarship from the Society of Authors; Callum Macdonald Memorial Award; two PBS Choices. Translations: Six Catalan Poets; Peatlands, by Mexican poet, Pedro Serrano; Lunarium, by Mallorcan poet, Josep Lluís Aguiló (all Arc); Tugs in the fog; Strangely happy; Love is a Place: poems by Catalan poet, Joan Margarit (all Bloodaxe). Terence Dooley has published poems and translations in Ambit, Acumen, Agenda, The Compass, Envoi, The London Magazine, Long Poem Magazine, Poetry London, New Walk, POEM, Brittle Star, Envoi, MPT, Shearsman, Tears in the Fence, Dream Catcher, Ink Sweat & Tears, and in el cuaderno and Quimera (Spain). A pamphlet of his poems is to be published by Argent press, and his translation of Eduardo Moga’s Selected Poems has just been published by Shearsman. he is currently translating the Selected Poems of Julio César Galán . Jack Little (London, 1987) is a British-Mexican poet, editor, teacher and translator based in Mexico City. He is the author of ‘Elsewhere’ (Eyewear, 2015) and is the founding editor of The Ofi Press: http://www.ofipress.com He was the poet in residence at The Heinrich Böll Cottage on Achill Island in the west of Ireland in July 2016. 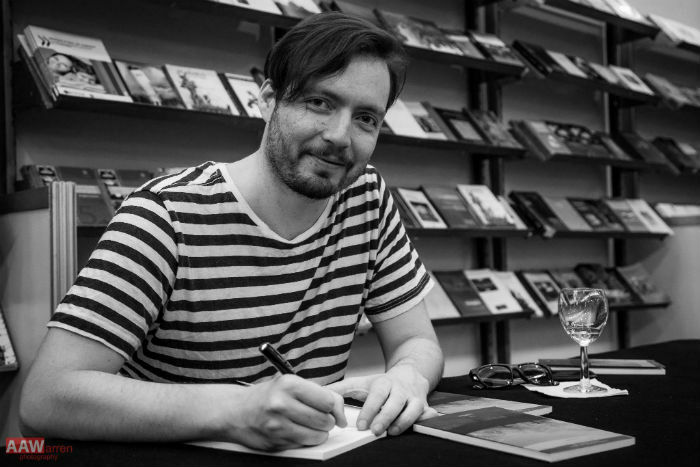 His work has been published widely in magazines and anthologies in the UK, Ireland and Mexico. 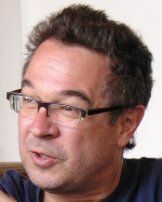 Allen Prowle’s verersion of Machado’s Civil War sonnet,‘Dawn in Valencia’, was runner-up in MPT’s Poetry Translation competition 2011. His co-translation with Caroline Maldonado of ‘Mistress of the House’ by the Honduran poet, Mayra Oyuela, commissioned by South Bank Centre’s Poetry Parnassus, which brought together poets from nations competing in the London Olympics, was published in ‘The World Record’ (Bloodaxe, 2012.) Some versions of Rocco Scotellaro were included in ‘Centres of Cataclysm’ (Bloodaxe, 2016), an anthology celebrating fifty years of ‘Modern Poetry in Translation’. Anthony Seidman is a poet translator from Los Angeles. 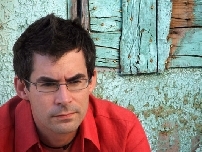 His collections include A Sleepless Man Sits Up In Bed (Eyewear Publishing), Confetti Ash: Sele cted Poems of Salvador Novo (The Bitter Oleander), and Smooth Talking Dog: Selected Poems of Roberto Castillo Udiarte (Phoneme Media). He has recently published translations and poetry in Modern Poetry In Translation, Poetry International, Ambit, Cardinal Points, and Nimrod, among others.